Today I decided to do swimskin testing as my swim workout for the day. It is 4 days after Ironman Chattanooga 70.3 and I was looking for the perfect workout in my training plan to balance between recovery and continuing prep for Ironman Raleigh 70.3 and Ironman Eagleman 70.3 in the coming weeks. The goals of the test were to come up with a quick protocol that would satisfy my own curiosity and allow me to get a pulse on whether there was any difference between the swimskins currently in my possession. To be clear, I have some form of "sponsorship" with TYR at the time of testing. For testing I ended up deciding to do an 800 for each test. I started with a Roka suit and ended with the same Roka suit. 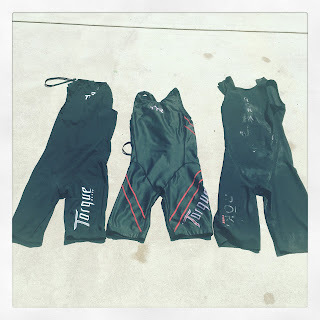 In the middle I tested 2 different TYR Torque suits - both the elite and pro version. The idea behind testing the Roka twice is that I know my body pretty well. I have done a ton of 4000 straight sets taking laps every 400 to 500 and I know that as I continue on I usually get faster and faster at the same perceived effort. Whatever suit I tested first I also wanted to test later on when I was fully warmed up and operating efficiently. I chose 800s because it is too tough to tease anything out in 100s, 200s or even 400s. Anything longer than an 800 and I have the problem of having too much fatigue later on in testing. I chose to swim the 800s at a cruise effort. It should also be noted that I swam with a sleeved tri suit underneath and zipped up as well. This is exactly how I would race. Main-set: 800s with a 100 easy after the 800, then quickly changing into the next suit, doing another 100 easy and leaving for the next test on the 2:00. Analysis: Even though this is just a quick n+1 study, to me there is not a sliver of doubt that the TYR Torque Pro is slow on me. 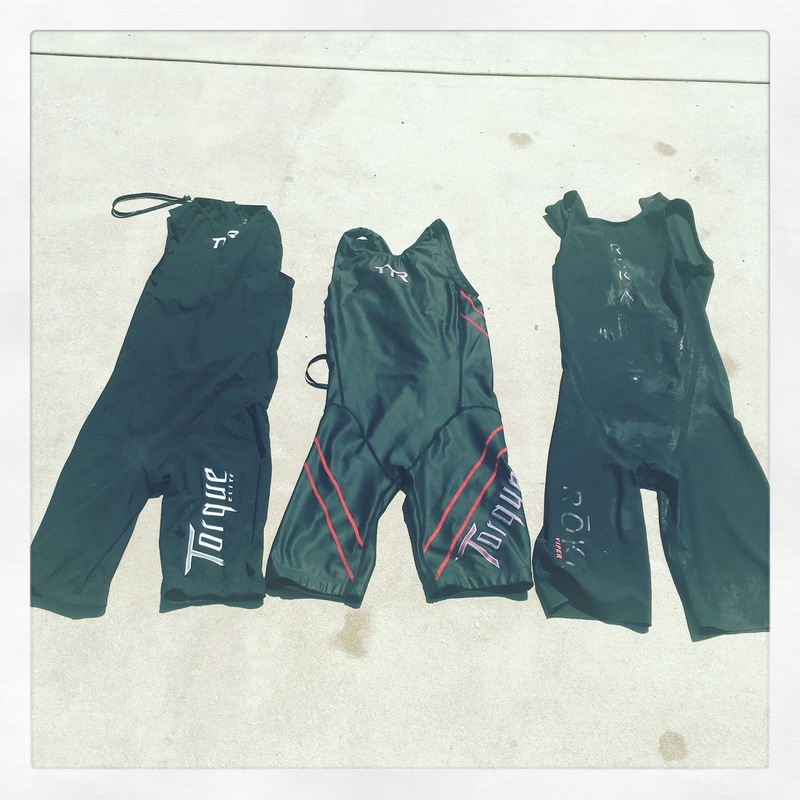 That is surprisingly because that TYR Torque is their top of the line suit. All of the suits felt great in the water and there was no restriction that I could perceive. What makes a suit fast or slow?That is well above my pay-grade but this is why I test this stuff out when I can. Would have liked to have seen the difference to just your tri suit. What model are you racing in these days? How about fitting, do both brands fit the same?